"This hole heads back to the club house against the prevailing wind. 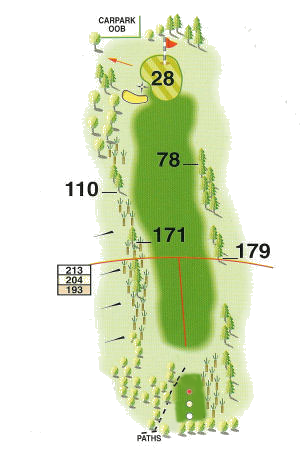 The tee shot should be hit out to the right, allowing it to drift back on the wind to the fairway. The green is guarded by a single bunker on the left and the approach shot should be aimed a little to the right to hit the green."